Since gaining control of Walsall Council back in May this year, it would appear that the Tories have had a massive change of heart over their opposition to the purchase of the Saddlers Centre by the previous Labour/Lib Dem administration. Well, less than six months have gone by since the Tories took over the running of the Council and they appear to be singing a very different tune. Waterfront, the former LEX site, has benefited from Local Growth funding with £150,000 of site remediation works having recently been completed. Interest in the land has been expressed and the Council is looking to transact its land interest to support proposals of a new commercial development-I hope to be able to announce more on this later this year. 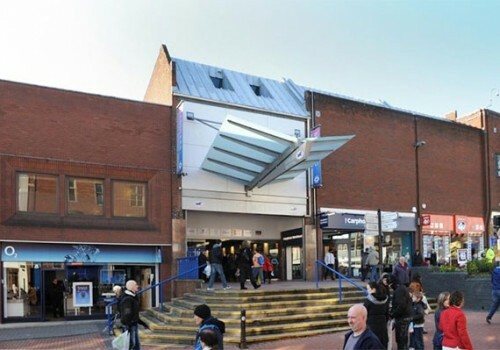 The Council also continues to work with WMCA, Transport for West Midlands, Homes England and land owners to explore redevelopment proposals for land at Station Street, which will seek to improve the sites connectivity and gateway location next to Walsall Rail Station and the Waterfront area. The acquisition of the Saddlers Centre provides the Council with a real point of control to proactively support regeneration in the town centre and enhance the key gateways at Station Street, Park Street and Bradford Place. While the loss of M&S was sad to see in August, the opportunity to consider our options for their former space will be explored further by the Walsall Town Centre Masterplan. Whilst we are on, Eddie Hughes MP (Con) Walsall North might also like to apologise for his misleading opposition to the purchase of the Saddlers Centre, for misleading voters and wasting Parliamentary time on the subject. Unless of cause he still believes that it was a bad decision and disagrees with his former colleagues on Walsall Council. Either way, I have had a number of people say that they feel that they were misled by the Tories, and that they would have taken a different view had the seed of doubt not been sown by the Tories.